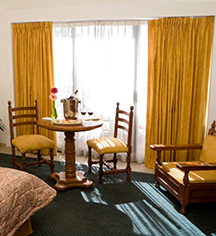 Hotel de Mendoza has 104 cozy guestrooms and suites, decorated with colonial motifs. Some guestrooms offer exceptional views of the Santa Maria de Gracia Church and the Degollado Theater. 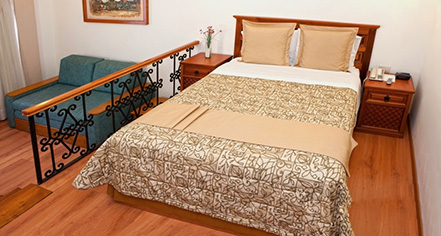 All guestrooms have 32-inch flat-screen televisions with SKY programming to relax after a busy day, complimentary WiFi to stay connected, an in-room safe for important documents and valuables, hair dryer, electronic security locks, alarm clock, and air-conditioning.